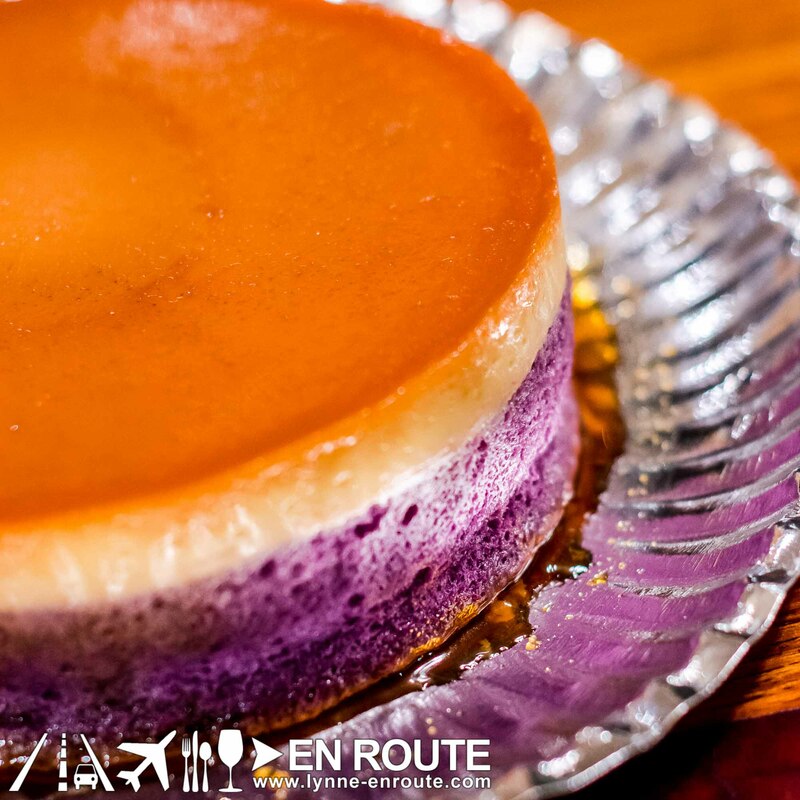 For any halo-halo fan, you’ll know that ube (taro) and leche flan (what is also known as crème caramel) go well together. Now, you don’t need to accompany them with loads of shaved ice and all the other ingredients for you to enjoy them together. With the desire to share flavors of Filipino desserts, the Ube Leche Flan cake from Anghelica’s Desserts was born. A light ube chiffon cake is topped with a thick layer of yummy, creamy leche flan. Truly a perfect balance of flavors and textures. It was great to find out that a former classmate was behind this awesome find. She also makes other desserts like s’mores, mamon, and polvoron to name but a few. Go ahead and check out Anghelica’s Desserts’ Facebook page and find out what you’d like to try. The famed Ube Leche Flan cake comes in two sizes: 5 inches (Php300) and 7 inches (P500). She accepts bulk orders for the smaller size, especially during this Christmas season. Go ahead and add that extra dose of sweetness and softness to your table. For orders, you may get in touch with her via mobile: +63 917 725 6038. Browse our collection of dessert finds! See more of our finds on Facebook!